The ladies’ 1500m result was, characteristically for the games, a surprise. Inspired by countryman Mark Tuitert’s spectacular win in the 1500m, Ireen Wüst equaled the track record on less-than-optimal ice conditions to set a time which was, ultimately, too difficult to catch. Favorite for the gold medal, Canadian Kristina Groves, could only manage a valiant silver, after being right on-pace for most of the race, and just faltering in the final meters. In third was the gold medalist from the 3000m Martina Sablikova from the Czech Republic. The men’s 10,000m should be a showdown between 5000m champion Sven Kramer, and fellow dutchman Bob de Jong, who is also the defending Olympic champion. After faltering in the 5000m and missing out on the podium, Bob will be hungry for redemption in what will likely be his final appearance as a skater in the Olympics. The rest of the field is not far behind with Håvard Bøkko of Norway, and Ivan Skobrev of Russia both hot on pace after earning a bronze medal each (and swapping places 3rd-4th, in the 1500m and 5000m). I would give Skobrev the slight advantage in that duel because he is in the final pair with Sven Kramer. Also look out for Italy’s Enrico Fabris and Alexis Contin of France who will skate together in the 6th pair. They have been training partners during this season, and should be able to keep each other company and push each other to a peak performance. Alexis has also had a long break, not skating since the 5000m and taking the time in between to go to Calgary to train at altitude, as well as escape the media storm that surrounds the Olympics. In fact, I would go so far as to tip Contin for a medal. Outside chances to watch for are silver medalist Lee Seung Hoon of Korea, who may surprise us as his finishing laps in the 5000m indicate that he had a bit left in the tank. 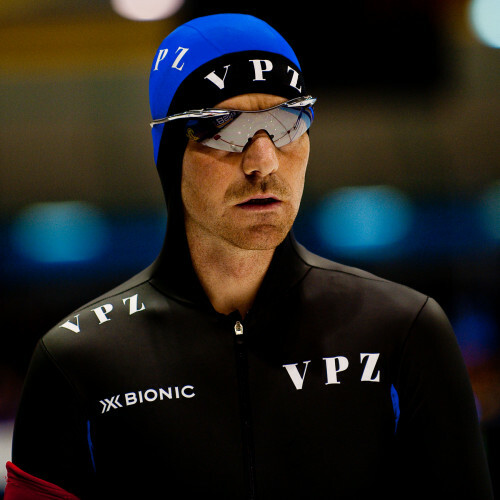 Arjen van der Kieft (whose name is spelled incorrectly on the Olympic start list) from the Netherlands is also an outside threat who has been known to skate the occasional amazing 10k. In the world cup race in Hamar, despite racing in B-grade and not being paired with anyone of any significance, managed to skate a time within a second of Håvard Bøkko’s.